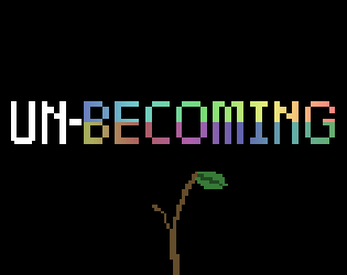 Unbecoming - A short, silly narrative. In losing your form you find your truest self. Your imagination is the only limit to your being. You are at once a gargantuan beast, a sly scoundrel, an explorer of this world and others. You are a shapeshifter... of sorts. people in the end are family? This is the most random game ever xD!